Rather a macabre day out but a fascinating porthole on history none the less. There has been a prison owned by the Bishop of Winchester in one form or another since the year 860, although at that time it would only have been one cell in a priests' college. By 1076 an archbishop had listed the types of punishment allowed, scourging with rods, solitary confinement, and bread and water in silence. This was an improvement on secular punishments however which often involved death. The building of a chapel and mansion at Southwark by the Bishop of Winchester, as his near London palace, was completed sometime after the acquisition of the manor territory between 1144 and 1149. 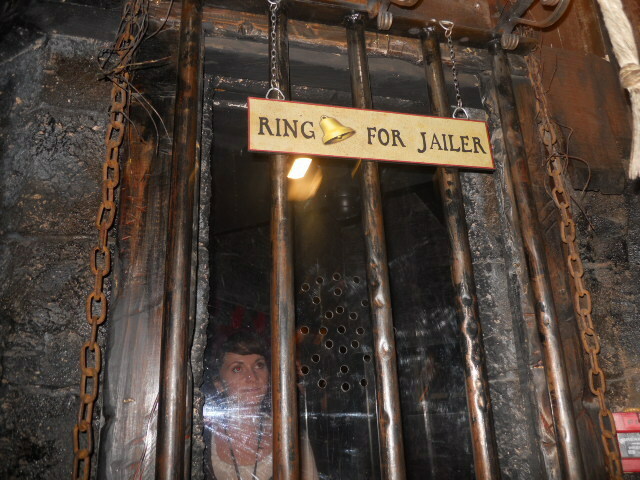 The prison was any number of structures within the mansion's area whereby the local miscreants were kept to await trial. The prisoners were ill treated although those with money and friends on the outside were able to pay the gaolers to make their time better. As the gaolers were very poorly paid, they found other ways to supplement their income. They hired out rooms, beds, bedding, candles and fuel to those who could afford it. Food and drink were charged at twice the correct price. They accepted payments for fitting lighter irons and for removing them completely. For a fee, prisoners would be allowed outside to beg or even to work. Madams were allowed to keep a brothel going, with payments going to the gaolers. Poorer prisoners had to beg at the grates that led up to street level and sell anything they had with them, including their clothes, to pay for food. In 1450, rioters protesting the Statute of Labourers raided Winchester House. Classing clerics as tax collectors, they murdered them and released prisoners from the Clink before burning it down. The rebellion was put down and Winchester House was rebuilt and extended, including a new prison. Originally, most of the prisoners had been those who had broken the rules of the Liberty, but by the 16th century, it had become largely a prison for heretics who held contrary views to the bishops. John Bradford and John Hooper were amongst the inmates. In later years it was mainly a debtors' prison. In 1649 Winchester House was sold to a property developer and was divided into shops, tenements and dye houses. The Cage was removed temporarily as taxpayers had complained about the cost of upkeep, but the whipping post was still busy. By 1707 both of these and the stocks were all unused because of the cost of upkeep, and by 1732 there were only two registered inmates. In 1745 a temporary prison was used, as the Clink was too decayed to use although, by 1776, the prison was again taking in debtors. It was burnt down in 1780 by Gordon rioters, and was never rebuilt. The origins of the name "The Clink" are uncertain, but it is possibly onomatopoeic and derives from the sound of striking metal as the prison's doors were bolted, or the rattling of the chains the prisoners wore. Positioned in the heart of modern day Southwark, the prison was situated in an area that has long been associated with more raucous, vivacious and unruly behaviour; it was the louder, ruder and wickeder neighbour to The City, and a place where Londoners sought entertainment. 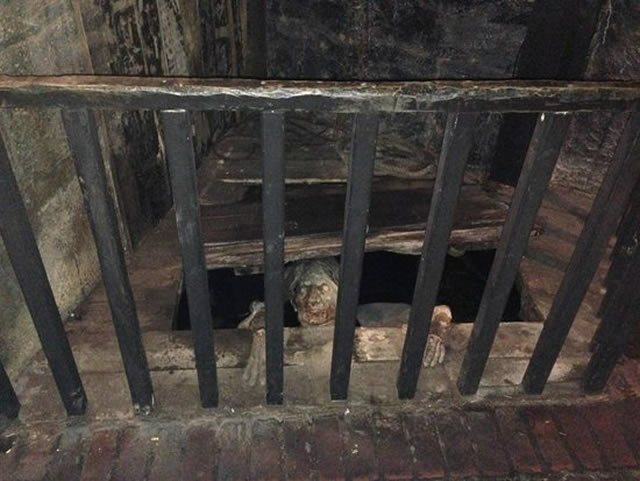 Visitors will learn all about this scandalous truth of Old Bankside through a hands-on educational experience, with the opportunity to view archaeological artefacts, handle torture devices, and to view and hear all about the tales of torment and many misfortunes of the inmates of the infamous Clink Prison. Sadly the museum is not wheelchair accessible. Transport: London Bridge (Jubilee). London Bridge (Northern). London Buses route 344 stops at Southwark Bridge/Bankside Pier. Guided Tours available for Groups of 10 or more. Must book in advance.